Milwaukee – Sunday, October 11 at 8:00 am on WVTV TV-18. Madison – Saturday, October 10 at 6:00 am on FOX-47 and 6:00 pm on TVW. Green Bay – Saturday, October 10 at 1:30 pm on FOX-11. Wausau – Saturday, October 10 at 11:30 am on FOX-55. Superior/Duluth – Sunday, October 11 at 4:30 pm on WDIO TV-10/13. 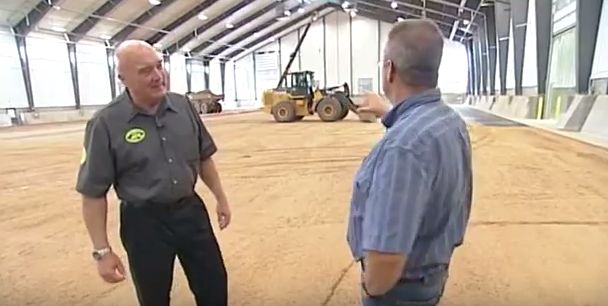 This week, Building Wisconsin tours the Operating Engineers Local 139 Training Campus in Coloma. Join host, Stuart Keith and guests, Terry McGowan from Operating Engineers Local 139 and Wisconsin State Representative Robb Kahl as they offer their insights about what this Training Center means to the State of Wisconsin.